Owner Financing--5.0% Interest--No Closing Costs! 16 acres, Lake, Woods, 2200 sq. ft., home , outbuilding, gazebo, and more. This is rare if not impossible to find. 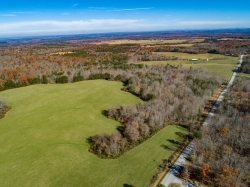 58 acres, rolling pasture and woods , 4 miles south of Sparta TN . Can divide into 3 tracts. WATERFALL TRACT!! Pasture, woods, creek with water cascades and a waterfall. This type of tract is hard to find . Can divide in1/2 . Just outside the Smithville city limits and near Center Hill Lake. Mountain River Tract. Joins Rocky River and Big Branch Creek. Great mountain streams with water cascades. Woods and rolling pasture. Near Spencer and McMinnville TN . Can divide into 4 tracts. 11.50 acres (Tract 1 5.00 acres and Tract 3 6.50 acres) All rolling pasture. 1 pond. Tract 1 $45,000.00 and Tract 3 $55,000.00. 265 acres, 2 miles of river frontage, 120 acres of pasture, balance in woods. Views of the Cumberland Gap. River shortly becomes Lake Norris, the best TVA lake. Very unique property. Nice farm with woods, lake, rolling pasture. 35.5 acres and can divide in half . Adorable lake home located on beautiful Center Hill Lake. 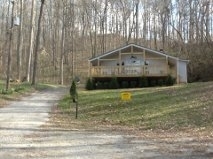 Private, yet conveniently located less than 200 yards from boat ramp. This 2BR/2BA home has been remodeled including new custom cabinets, counter tops, floor coverings, and appliances. It features a park like lot and new front deck. Call Stewart @ 615-202-2885 to arrange showing. 271 acres, 15 acres pasture, rest in woods, great views, waterfalls, deer turkey, great nature tract. Wooded tract with roads throughout. Located off of Highway 111. Close to Fall Creek Falls State Park. 1hour North of Chattanooga and 30 minutes South of Cookeville. Can divide into 15+ acre tracts.